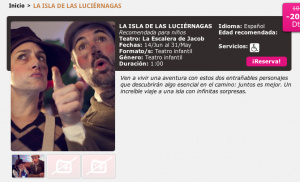 We went to see a play called “La Isla de las Luciérnagas”, the Firefly Island, and adventure with two actors that make children and adults laugh in a good way! The story is told by two “besugos”, breams, which lends itself to lots of jokes and play of words, given the double meaning in Spanish of the word “besugo”, which also means “silly”. Which leads to my next browny points for the play. 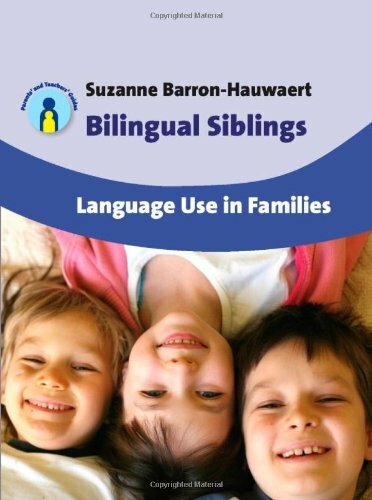 They use lots of “language”, that is to say lots of idioms, set phrases and turns of phrases that although as an adult you´ll understand easily, you may not use on a daily basis with your children. So, the play besides being funny has also quite a high linguistic value for all children, but especially for our little bilinguals who have a limited source for their minority language, that is us! That is why taking them to experience plays like this adds a great value to their linguistic education. Another positive point is the interaction. Both human characters, Rubino and Policleta, as well as their “besugo” counterparts, encourage the audience to participate, by asking questions, asking them to take action like clapping their hands, or watching something. Even my four year old, who suffers from selective shyness, took active part, even shouting out loud the answers and shaking hands with Policleta. My two year old also pointed, shouted and shook hands, and she seemed to enjoy it as well. This play was great, fun and entertaining. It’s a shame their last show seems to be Sunday 31st of August. 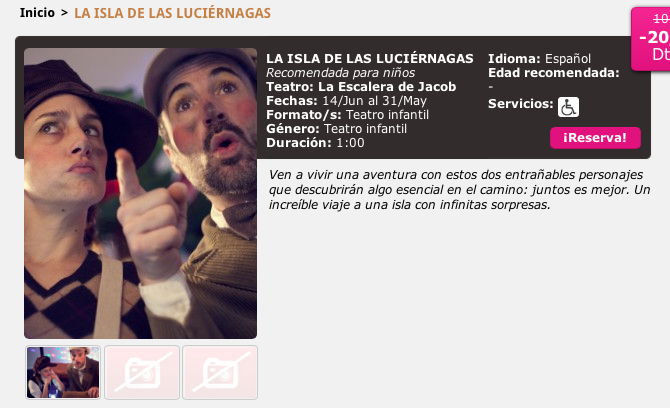 But the venue, la Escalera de Jacob, in Lavapies, Madrid, has always different plays and shows on, both for children and adults. 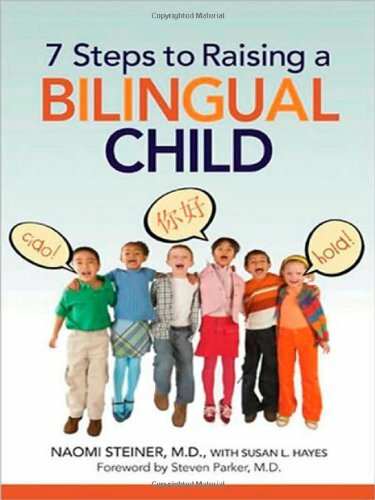 So, there will definitely be something else for your little bilinguals. Plays for children are good value for money and have a great educational value. Even if your little bilingual is not that bilingual, even if he struggles with words or doesn’t seem to understand their second language so much, take them to one of these plays. Lots of the communication is also done through colour, dance, body language, and movement, they will find it enthralling even if they don’t understand everything, and on the other hand seeing things like this may just give them that extra push, and show them that their second language can actually be lots of fun!